For many, yoga is a part of life and ingrained in the daily lifestyle. With the help of regular yoga sessions, you can gradually see the transformation in your life and improve your mental and physical health. While India is the origin of yoga the practice has been drawing a large number of admirers and followers that now believe in the power of this system and want to make a career out of it. If you are passionate about yoga and want to make a career as a yoga teacher you need to get the right yoga teacher training. While there are many yoga schools around the world the best ones are found in India. Rishikesh is a small town nestled in the foothills of the Himalayas and it is the yoga capital of India. If you are keen on getting the best yoga education you can start with yoga training in Rishikesh. The training here is quite different from the training you get anywhere else because the yoga schools offer education in a natural serene environment. 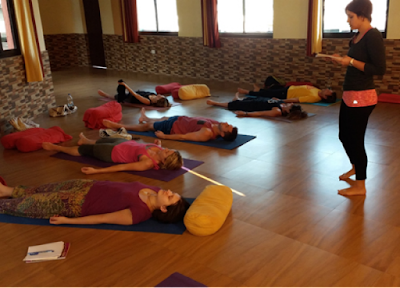 Yoga teacher training course in Rishikesh allows you to learn the basics of yoga and understand the philosophies and its origin in the true sense. Hatha yoga is the most popular form of yoga and therefore you can look for 200 hours yoga teacher training in Rishikesh that focuses on hatha yoga. This will allow you to master the fundamentals of hatha yoga and become a better yoga teacher. Kaivalya Yoga School provides hatha yoga teacher training in Rishikesh for yoga enthusiasts and beginners. Price and timing can also play a big factor. Prices can range from $2000 to well over $6000 with flights and accommodations.